They say pizza and beer go together so here are some of each. 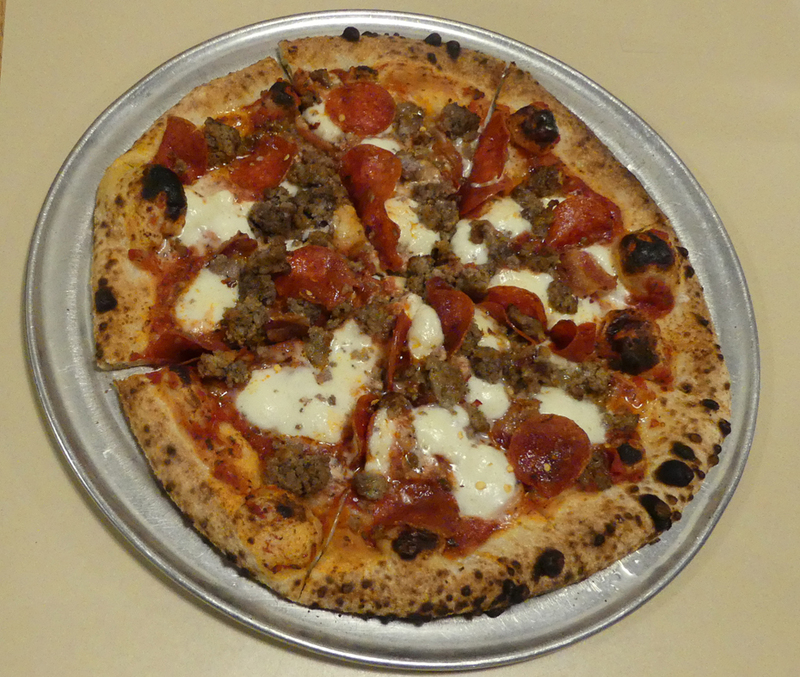 Some of the best pizza I ever tasted was at Bob's Brick Oven Pizzeria in Rock Spring, Georgia. 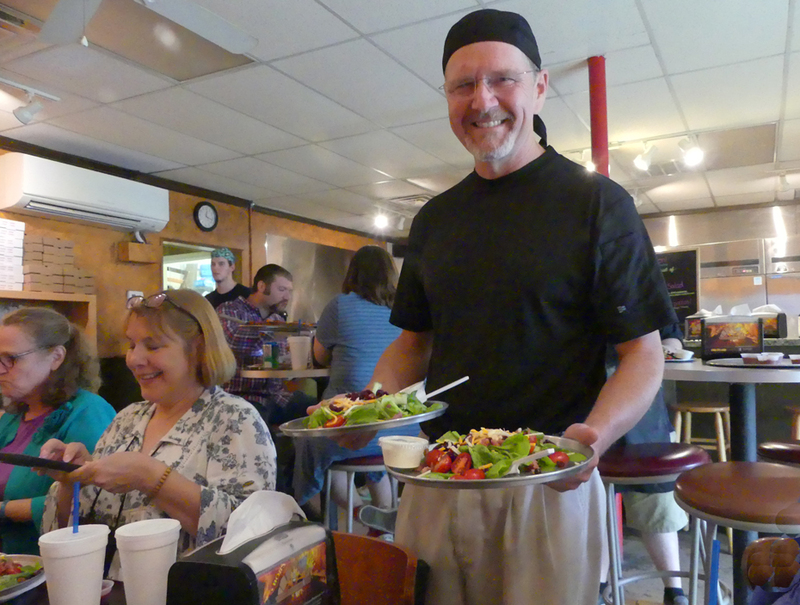 Unlike many of the new business owners I meet today, Bob Watts is not a millennial. He's been around the block a few times. He's a former Vietnam era Marine and former business man. He claims, "I'm too old to do things like everybody else." So he doesn't do like everyone else. Like Frank Sinatra, he does it his way and that is much better than your average pizzeria. Georgia recognized this in 2016 when he won Best of the Best for his pizza. He makes so many different kinds; Happy Tomato, Killer Potato, Smoked Salmon, Chicken, Barbecue, Brisket, and dozens more. All are not done every day; there are way too many. We got to sample quite a few when I visited. I lost count after the first 20 or so. 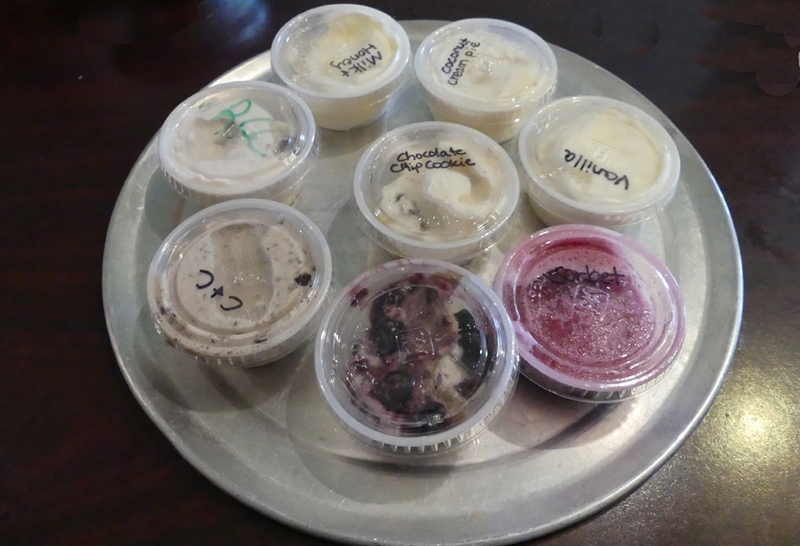 As if that didn't fill us up, Bob offered eight samples of his homemade ice cream. Hard to pick a favorite of these also. Happy eating here. 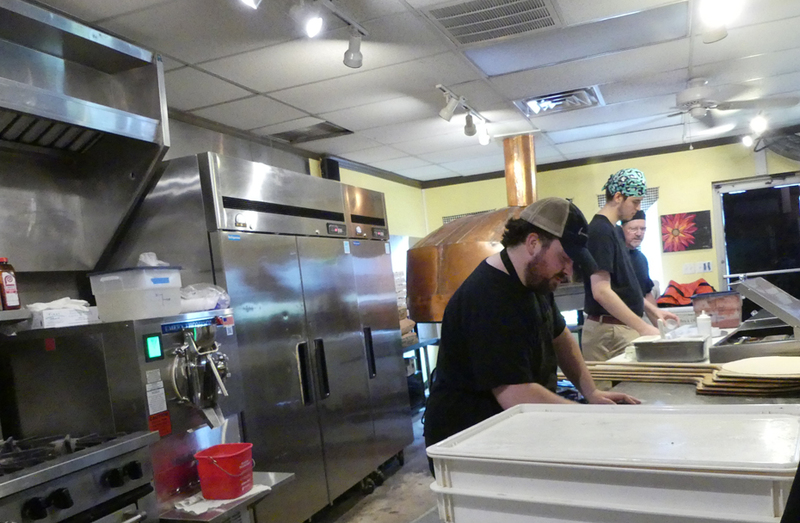 All good pizzas start with an oven. Bob's is special. It's the second thing you notice when you step inside. It's a big, shining, copper beauty that was cast in Italy, cooks at 700 to 800 degrees and proudly sits in clear view in the open-area kitchen. Everything here is fresh. Most of it home grown by Bob. 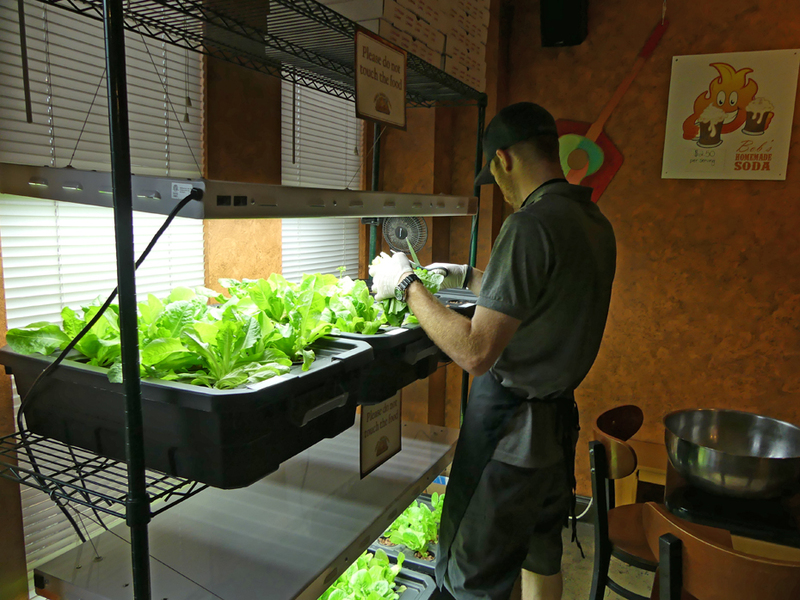 First thing you see when you enter is his hydroponic lettuce and herbs growing right at the front window. Because of the nutrient enriched water, the plants can grow as much as three-quarters of an inch to an inch a day. As Bob says. "When you order salad someone comes out and cuts it right in front of you so when it reaches your table, it's literally minutes old." He grows his tomatoes and peppers at home and brings it in to make the pizzas and salads. Bob loves what he does now but that wasn't always that way. As a young man he had an interest in making pizza but life got in the way. He got married and needed a guaranteed way to earn money. Then the recession hit and he realized what was really important. 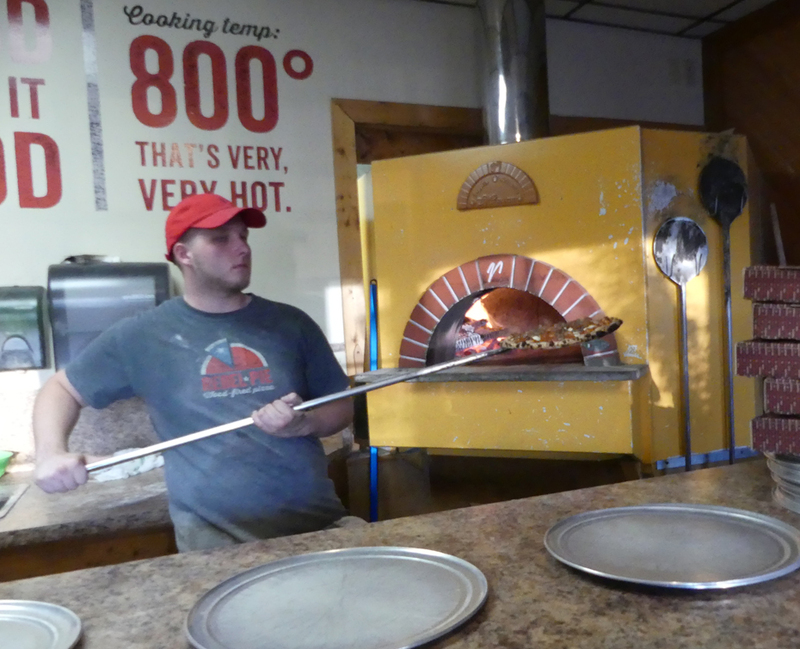 He got out of the rat race and opened Bob's Brick Oven Pizza. He no longer dreads getting up and going to work because now he loves what he does. Talk to Bob for a few minutes and you realize he is more than a pizza maker; he's a philosopher. 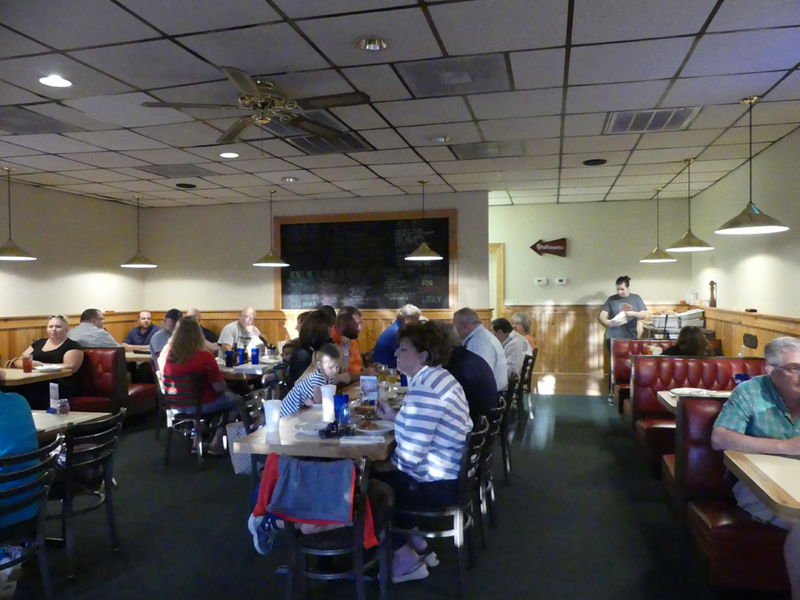 When you travel along Route 66 in Rolla, Missouri be sure to stop in at Alex's Pizza. It's proof immigrants to our country can prosper and give back to the community. 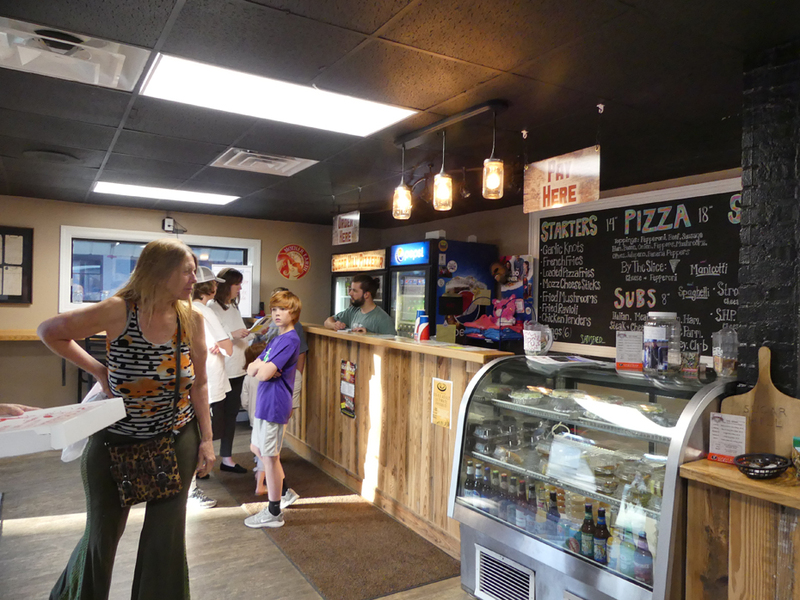 The spark began in November 1964 when Alex Kallas and his wife Froso, Greek immigrants, took a chance on opening a small pizza restaurant in Rolla. Because there was Edwin Long hHotel across the street, a train depot walking distance, and the university nearby, pizza went over well. Alex believd the key to success was a family environment, excellent service, hospitality and commitment to its customers. Customers agreed. 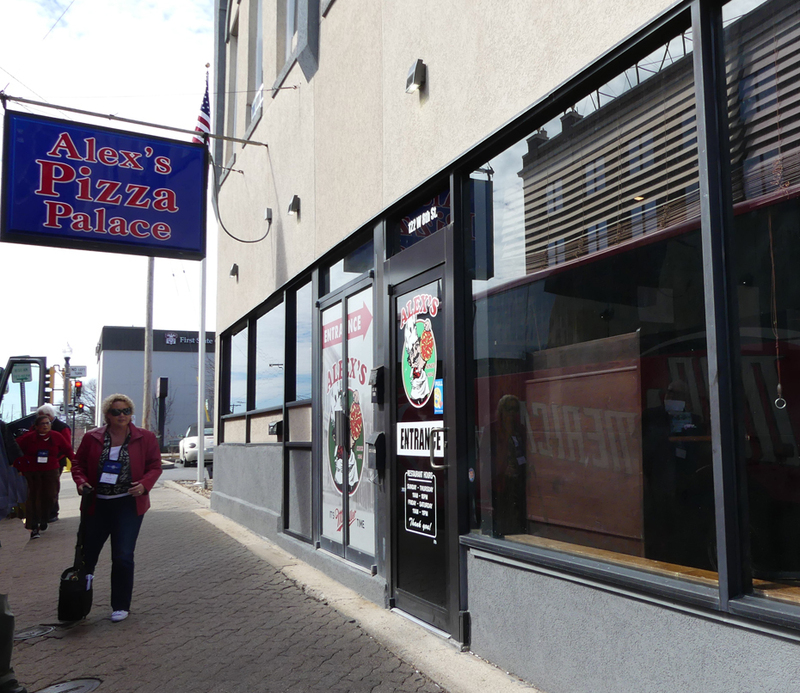 The Kallaes expanded Alex's Pizza and bought the building next door in the early 80s. In 1987 Ellie and Lazos Makridis, also Greek and long time workers at Alex's, took over and soon bought the adjacent space then a taveren and pool hall, and now the restaurant's bar. Incidentally, it's the oldest building in Rolla. The Makridises continued the original recipes and traditions. Today, although there have been some changes to the menu and new additions, the original sauces and pizzas are made from the original family recipes. Almost everything is prepared fresh right in their kitchen. It's that tradition the keeps bringing folks back to Alex's. Today former university students who grabbed a pizza there before exam day or stopped in to meet up with classmates back in the day, now bring their grandchildren and sometimes great-grandchildren in to enjoy the same atmosphere and food. Longtime manager, Mike Samaras, told us, "I remember as a kid coming in here to play pool with my dad then going over to Alex's for a pizza." We had to try their best-selling pizza, the house special with fresh beef, mushrooms, green peppers, onions, pepperoni and sausage. Talk about an explosion of flavors! 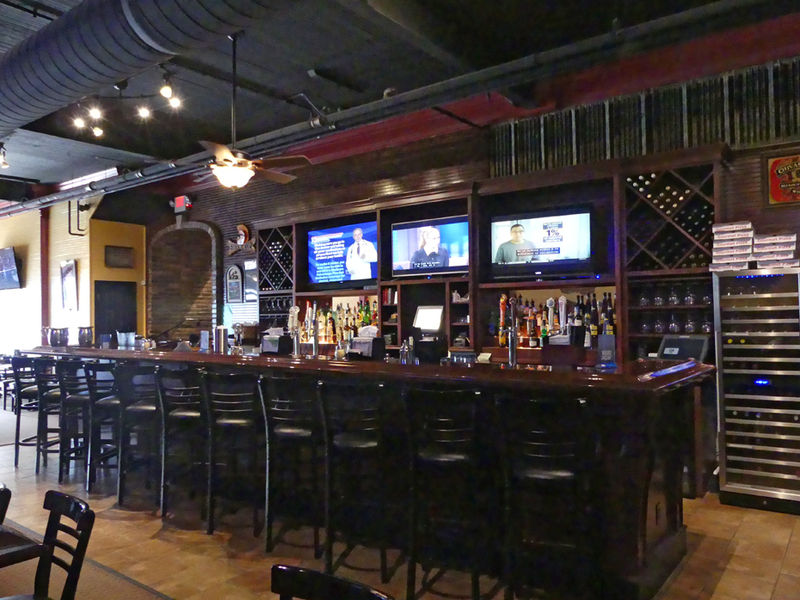 Of course with the well stocked bar, you can have a beer to go with the pizza, or gyro, or pasta, or any of the many Greek specialties Alex's offers. 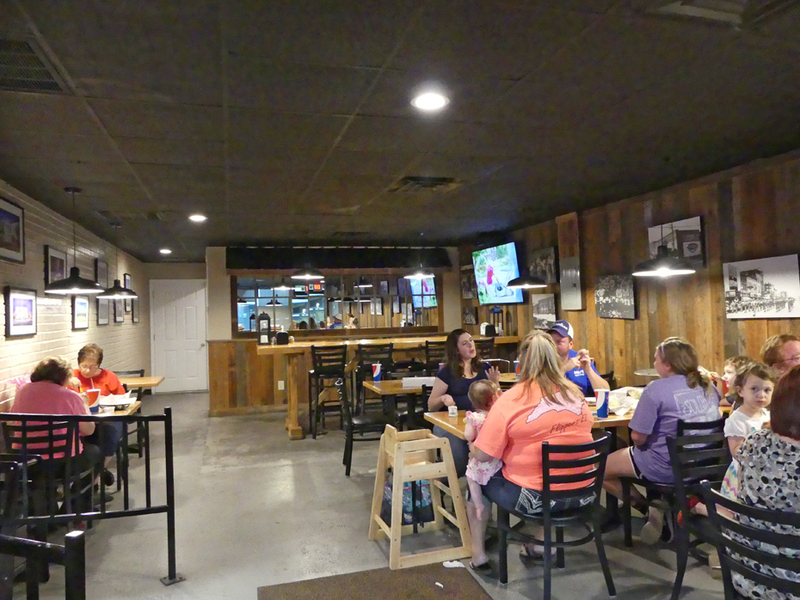 Sugar Hill Pizzeria, is named for a Kinston location that was once a rather rowdy section. It was home to African American music and brothels where homesick soldiers frequented during the war years. 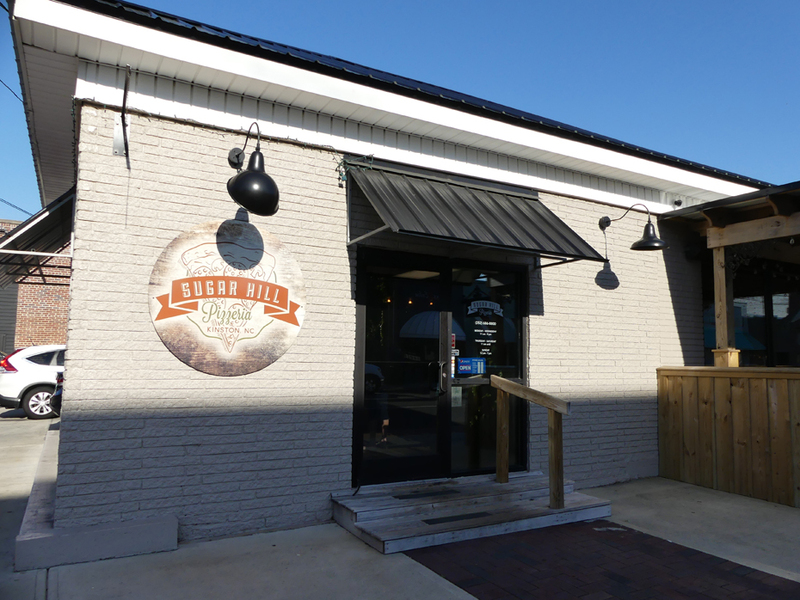 Today, Kinston is a recognized foodie hotspot in part due to Chef and the Farmer opening there and Chef Vivian Howard's popular TV show, A Chef's Life. But with all the upscale eateries opening, there was no place to buy pizza by the slice. Jackie and Brad Elmore and Nicole and Chris Moore were at a local school ball game lamenting that shortcoming in the local food scene. They decided to correct the situation and in January 2016, they opened Sugar Hill Pizzeria. Their secret to success, all fresh ingredients prepared while you wait. 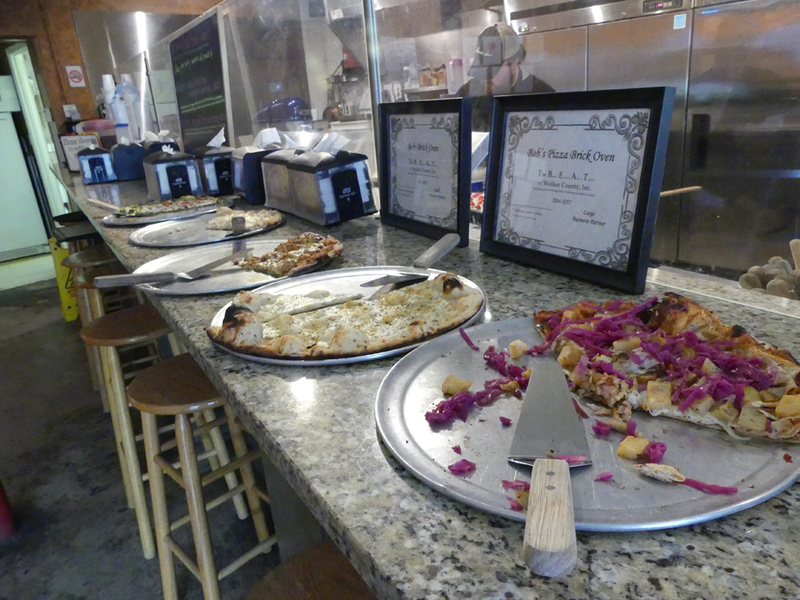 They serve a huge variety of pizzas, both regular and breakfast ones, but also salads and some tempting desserts. My friend Carla, who is a vegetarian, and I were able to share a pie; my side had spicy pepperoni while she had a selection of fresh veggies. We barely saved room for the cannoli but it was too good to pass by. 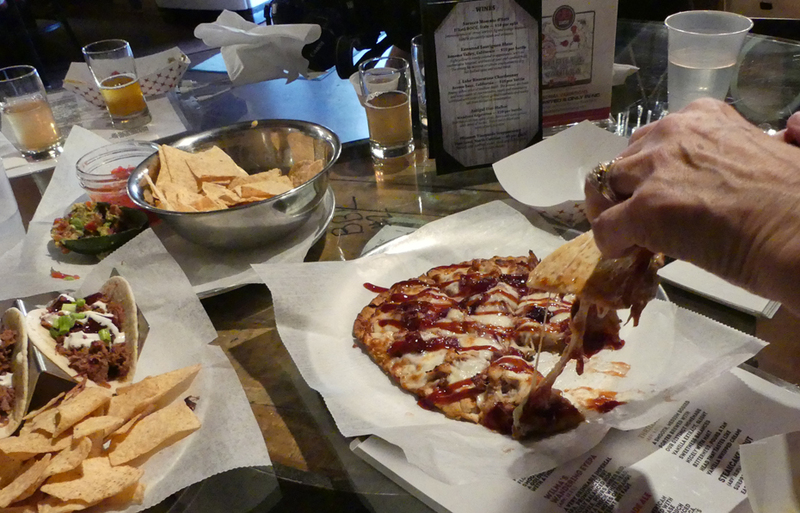 When you visit Florence, South Carolina, there are lots of good dining choices but if you are hungry for that special pizza head for Rebel Pie. 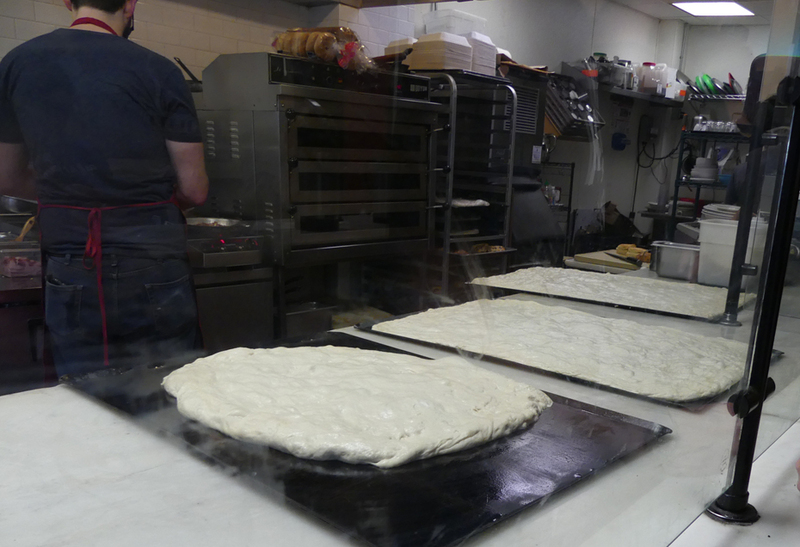 The pizza is baked in a brick oven which is the best way to make a pizza but in addition, they have so many choices. There are red sauce pies, white sauce pies, olive oil and pesto pies and if you can't find a winner in all those, you can build your own. 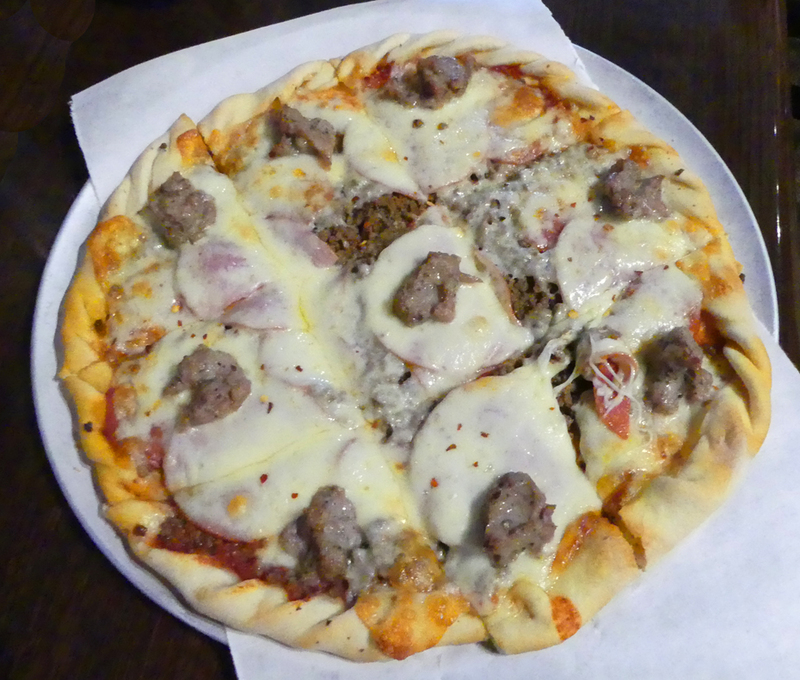 I decided to be a real carnivore and went for the Meat Quartet with pepperoni, sausage, hamburger, bacon topped with a really flavorful mozzarella. My companion chose from the other choices and had a Spinach Salad with baby spinach, seasonal fruit, pecans, purple onion, goat cheese. It looked good but I wasn't giving up my pizza. The local craft breweries and wineries are well represented in their menu choices and the dessert menu looked tempting but that pizza was more than I could eat. I got a take out box and enjoyed it later. The only downside here is that when they are super busy you may have a wait for your pizza. Birmingham has many great pizza places. One I visited recently is Trattoria Centrale. They opened in 2009 and became a hot spot almost overnight. One reason is their pizza al taglio, a light, flavorful, rectangular-shaped pizza that is often sold by the slice throughout Rome. 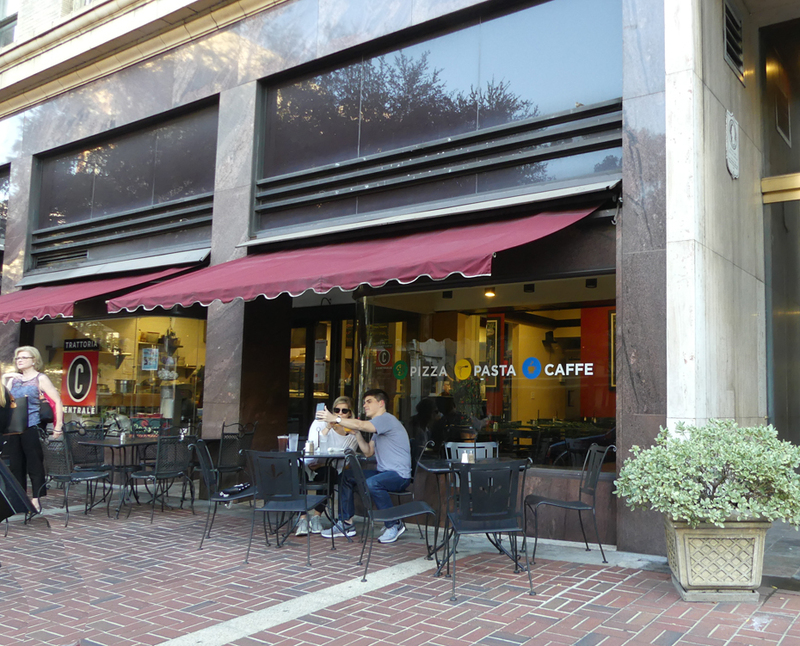 Another good reason to visit is their outdoor cafe as well as indoor seating. If you want even another reason, their famous breakfasts serving home grown eggs, grits, breads and milk is it. 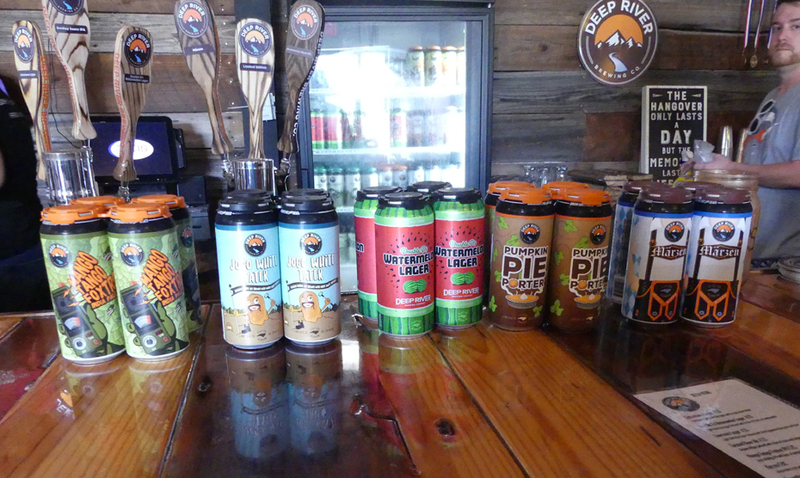 Deep River Brewery in Clayton, North Carolina is Johnson County's first legal brewery. Paul and Lynn Auclair opened in April 2013 in a 1902 cotton spinning mill building. 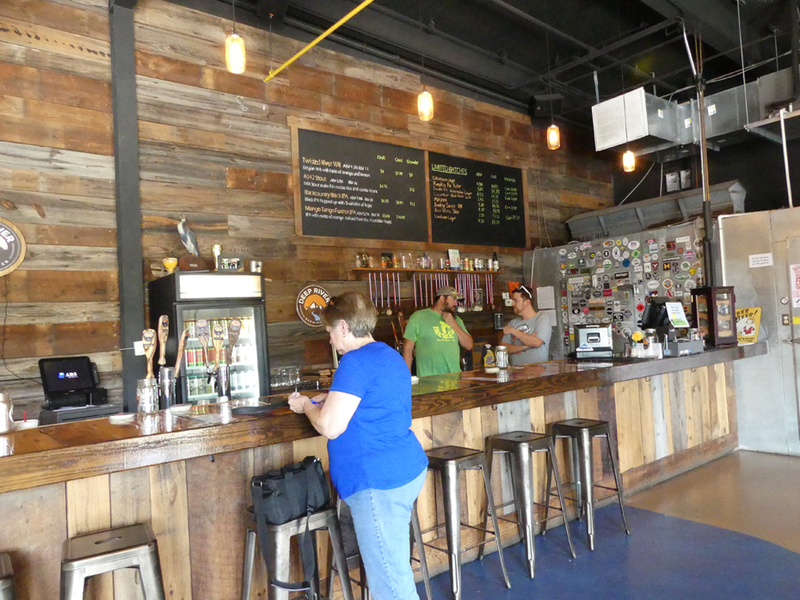 Their wall in the taproom is made from an old tobacco barn built in 1949. They named the brewery for the river Paul grew up by in the Adirondack area. 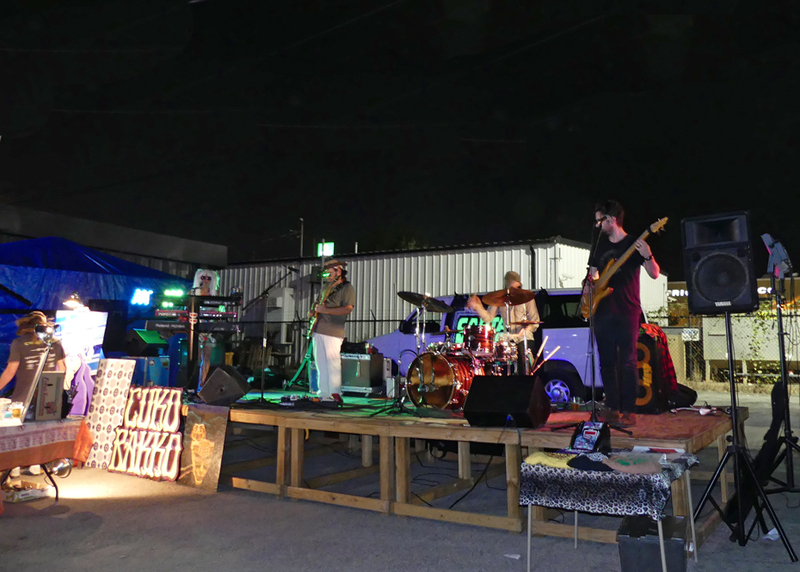 They open Thursday through Saturday and bring in food trucks on weekends and music Friday and Saturday night. Two things make their beer remarkable. First, and least important, I rarely find a beer I enjoy. I have a love/hate relationship with most hops. I think they are a beautiful plant but do not like the bitter taste they impart. Here I was delighted to find Double D's Watermelon Lager tasted delicious. If I liked it anyone, whether they are a beer drinker or not, will enjoy the sweet watermelon taste of this beer. Yes, it has real local watermelons infused into it. Secondly, N.C. University recently discovered/created the first new yeast in 600 years capable of making a good sour beer. Nicknamed Bumblebeer, these are a new type of beer that's a cross between a sour beer and ale. Deep River Brewing was the first brewery to make a beer from bumblebeer yeast. They now make four beers from it. One is Limoncello, an ale that looks and taste like the fresh squeezed lemonade that is part of the concoction. I noticed their cute delivery truck and asked about it. Currently they do their own distribution but under present law, that option could be taken from them. "If a brewery produces 25,000 barrels or more they must stop doing their own distribution and hire a distributor. This hurts brewers that become successful," said Lynn, who is hoping this law will change. 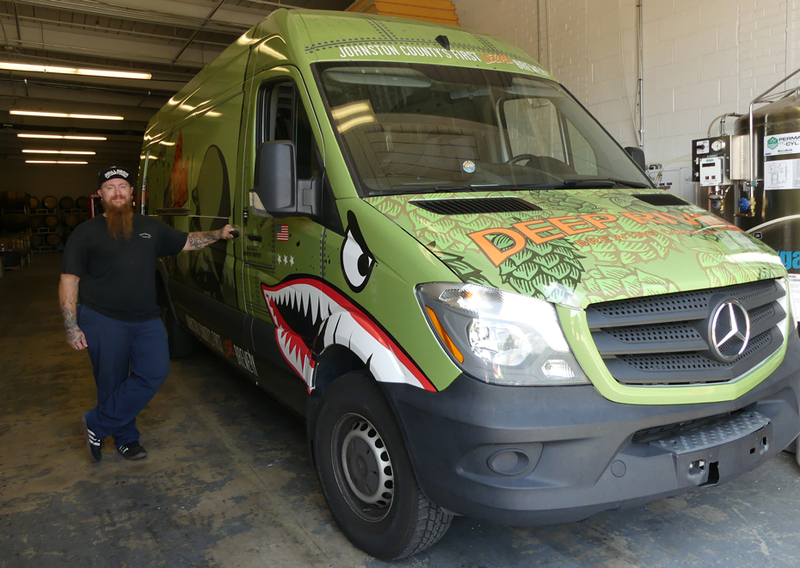 Kevin Ellis, the deliveryman for Deep River, proudly showed off the Deep River Truck. It's definitely a hop in the right direction. 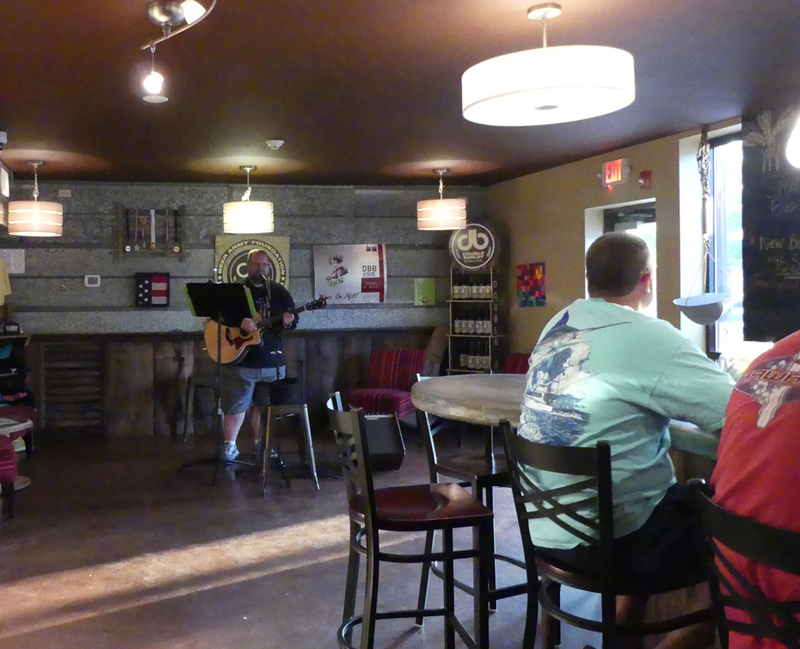 Double Barley Brewery in Smithfield, North Carolina grew out of a thoughtful birthday gift. Larry Lane started home brewing when his wife, Cheryl, gave him a home brewing kit for his 40th birthday. It was the start of an obsession for Larry. They drew up a business plan and began to look for a location. They found this property and fell in love with the location. 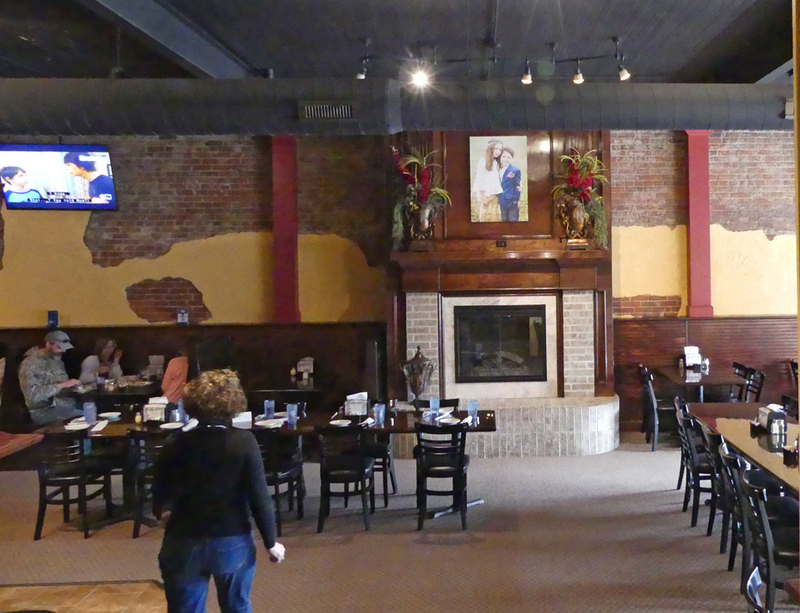 They opened the Double Barley in 2013. 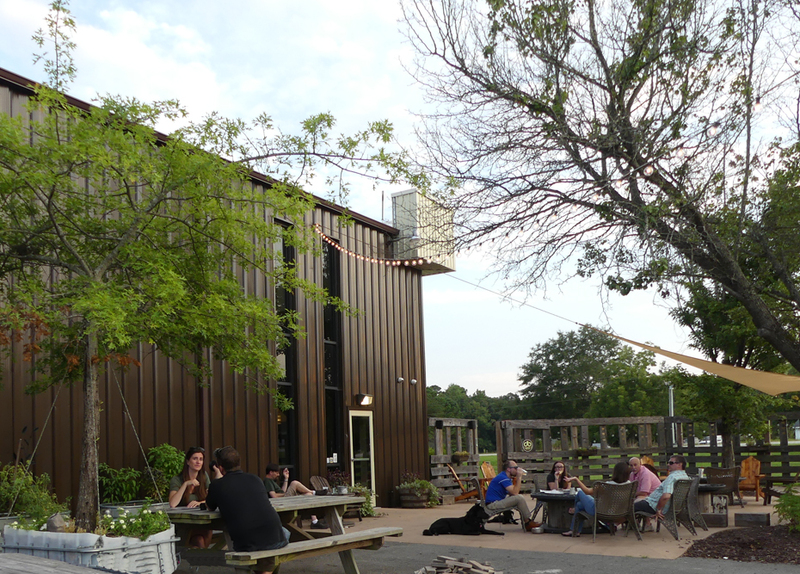 It offers a perfect place for the brewery as well as a taproom and a outdoor beer garden. It's pet friendly. The day we visited there were families with kids and dogs. Visit on the weekend and you'll find some pretty nifty musicians playing. Double Barley produces a lot of high gravity beers. Currently they are running a competition They are doing a "fight series" of their most popular brand, Thrilla in Vanilla. They are producing a new version each month. You get to vote for your favorite. Vote one for wimpy and twelve for a knockout. 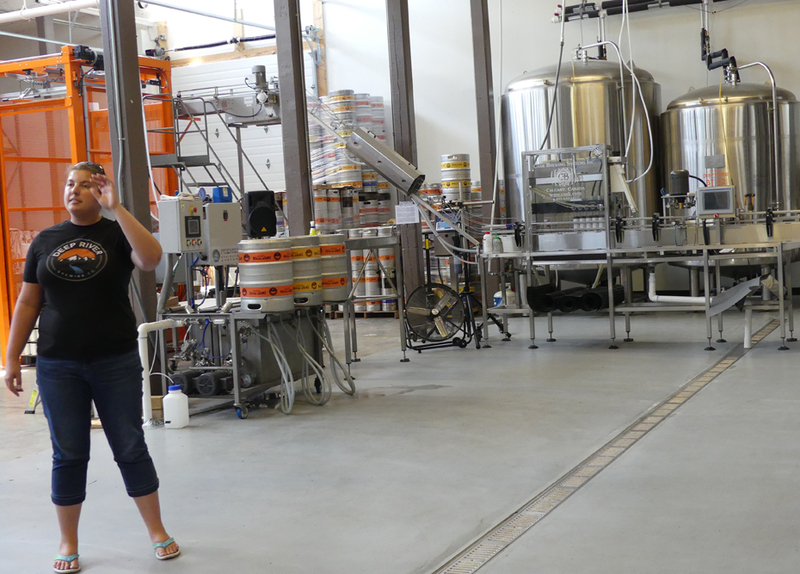 Walter, the taproom manager, gave us a tour of the brewing facility. One clever innovation goes back to Larry's days as a mechanical engineer; the cold room is cooled down to about 41 degrees with just two window air conditioner units. 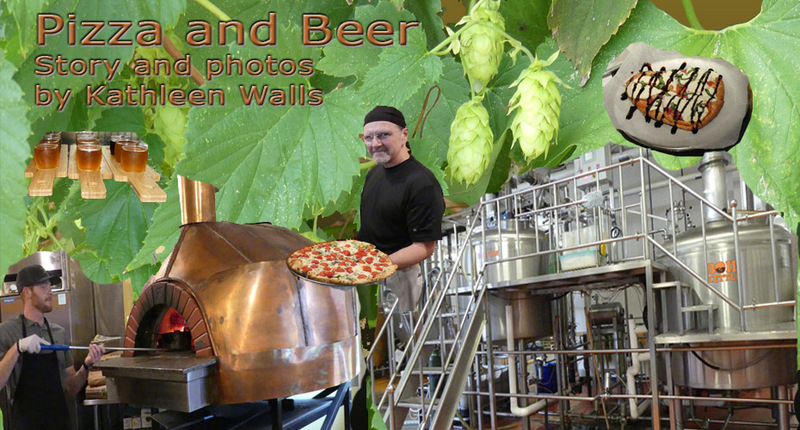 Another way Larry helps the environment is that his spent grain isn't wasted. It goes to local farmers to feed cattle. Speaking of feed, you can get an upscale Italian style version of a pizza here to go with your beer. There are several varieties but we sampled the Brochette, a garlic olive oil basted flatbread, topped with tomatoes, onion, basil, mozzarella, and drizzled with balsamic. Their pork tacos with slaw, salsa and chips are tasty and the Twisted Bavarian Soft Pretzels are addictive. They serve them with two versions of dip, Abby's Amber Beer Cheese and Orange Blossom Honey Dijon. These are a few of their small but innovative array of bar foods. 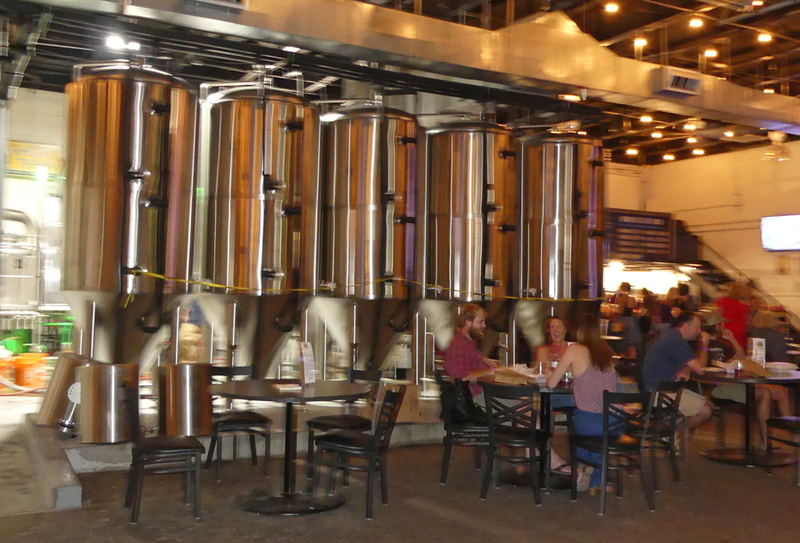 For a really unique take on visiting breweries, try the Birmingham Pedal Tour. You don't have to worry about a designated driver. Birmingham Pedal Tour was founded by Clair and Jason Kobza. Its a great way to drink responsibly. 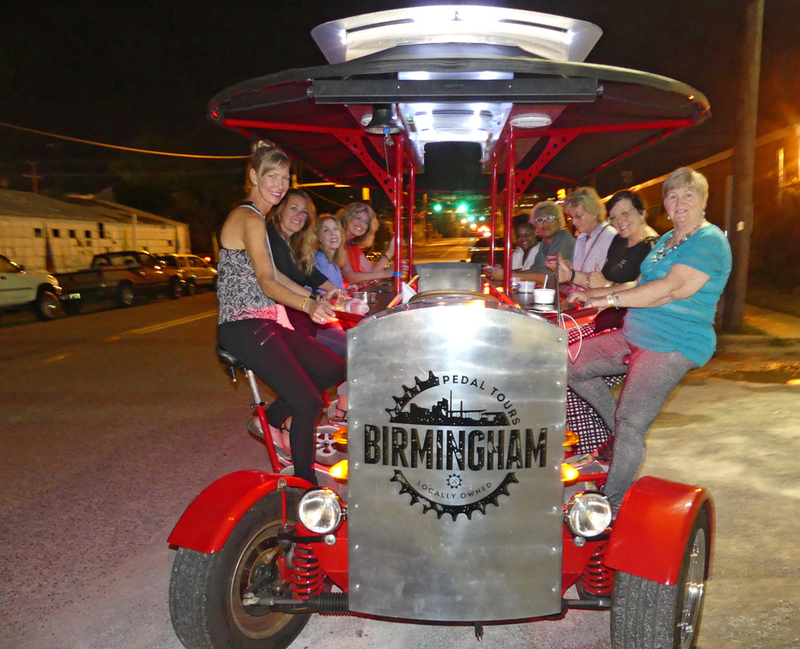 The Birmingham Party Bike can hold 14 people and the driver. There are 10 pedaling seats (five per side), and a four-person bench at the back for those who want to just sit back and let others pedal. You can book for a group and pick your destinations. Jason was our driver when we did three unique breweries on a Saturday night. I can still hear our refrain as we crossed intersections and drove uphill, "Pedal faster! Pedal faster!" We started our tour at Trim Tab Brewery. The unusual name is derived by the original brain behind the brewery, Harris Steward. Harris was a law student and devoted follower of Buckminster Fuller who originated the term to show that a small cog in humanities' wheel can produce tremendous results. The trim tab is the small rudder on the larger rudder on ships and aircraft. While it doesn't look important and can be moved with almost no effort, it is what actually directs the large rudder that sends that huge ship or aircraft in the direction it needs to go. Harris realized law school was not the direction he wanted to go and quickly converted his wife, Cheri, to the idea of opening a brewery. Without funding and a place to open the brewery at, it was an uphill battle but fate brought the Harrises together with Will Crenshaw, a brewmaster with a yen to do big things with his own recipies of craft beer. All of them believed the creation of craft beer could be a trim tab. Thus Trim Tab Brewer was born in 2014 and has been going strong ever since. You will find furry friends enjoying the night out with their owners. 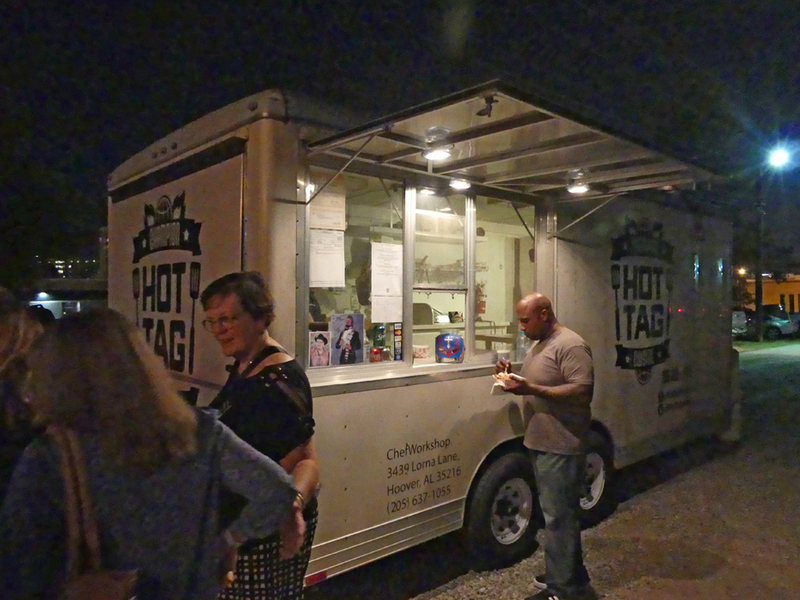 Hot tag Food Truck was doing a brisk business. A pair of deejays kept the music lively. Riley, a large friendly brown dog who shared the next table with five adults and a sleeping baby came over and introduced himself with a nudge of my hand demanding a pet. His owner assured us Riley did live the life of, well you get the idea. The owner told us he often came home from work to find Riley sleeping in his, the owner's, bed. Riley would raise his head and look over at him as if to say "Don't disturb my rest." Dogs and people alike have their own concept of Trim Tab. Our second stop was Ghost Train Brewing. 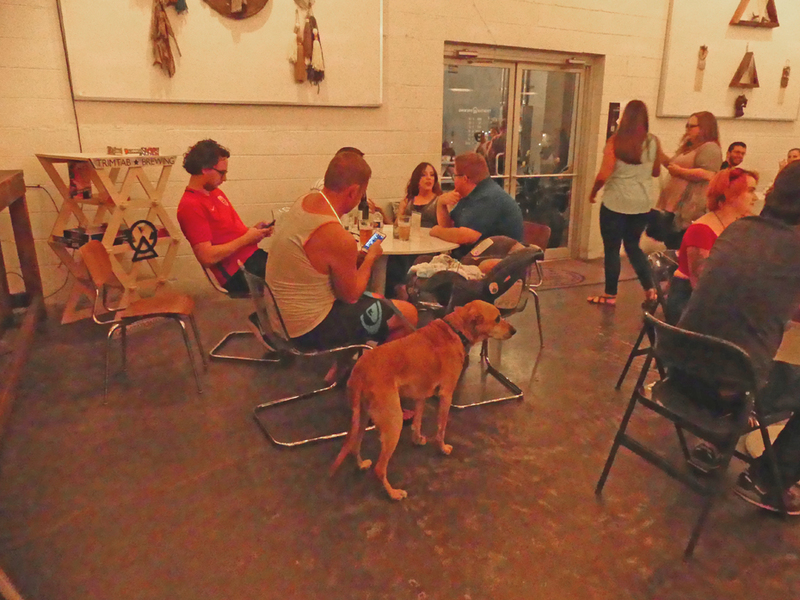 Taylor and Paige DeBoer opened Ghost Train Brewery in October 2015. 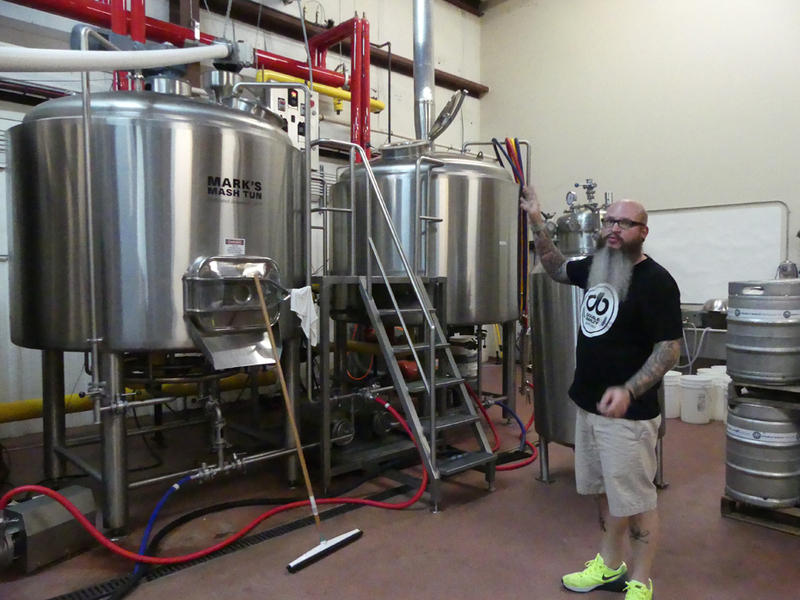 Taylor had been a brewer for another brewery and had perfected what are now Ghost Train's own recipes based on that experience and his home brewing. Ghost Train Brewery offers five flagship beers: The Go-Devil Golden Ale; the Switchman's Stash India Pale Lager; the Dark Ride Belgian Strong Ale; and the Terminal Station Brown Ale, and Ghost Train Craft Lager. It is a place for family to gather on Saturday night and that includes fur babies as well as human ones. When we visited, the band, Captain Midnight, was blasting out its unique Waterbed Rock and Roll. An artist was painting; it seemed in time to the beat. 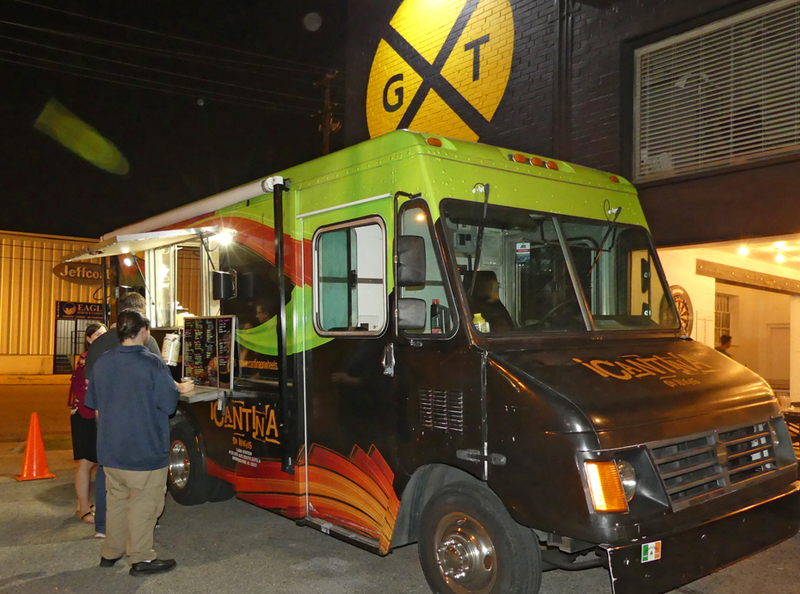 Cantina Food Truck dished out tacos and nachos as fast as they could prepare them. 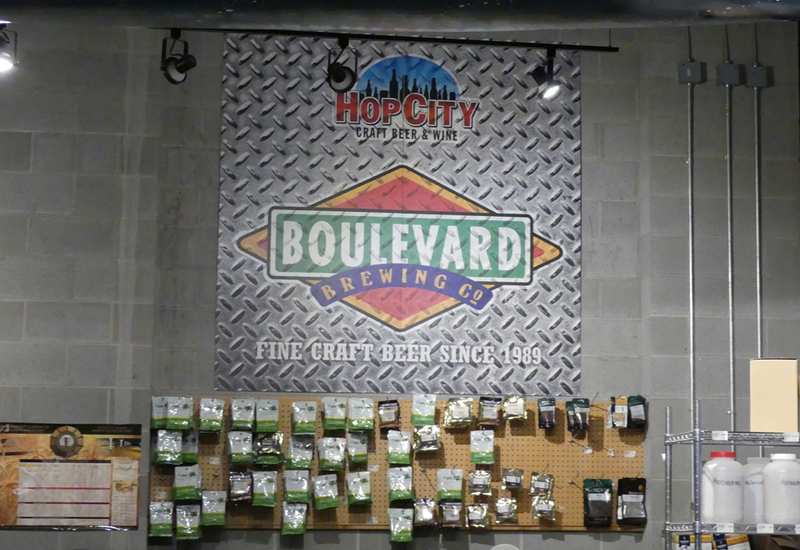 Hop City is the largest of the places with three locations. Not a brewery, more of a craft beer and wine stocking store. They began in Atlanta and still have two stores there. They were the last place we visited that night. Kraig Torres is the brain behind Hop City. He considers himself a beer fanatic and has traveled the world in search of just the right brew. Here at Hop City, he offers a fantastic choice. They stock more beers than I can count – they claim to carry every beer available in Alabama -- and an equally impressive number of wines. 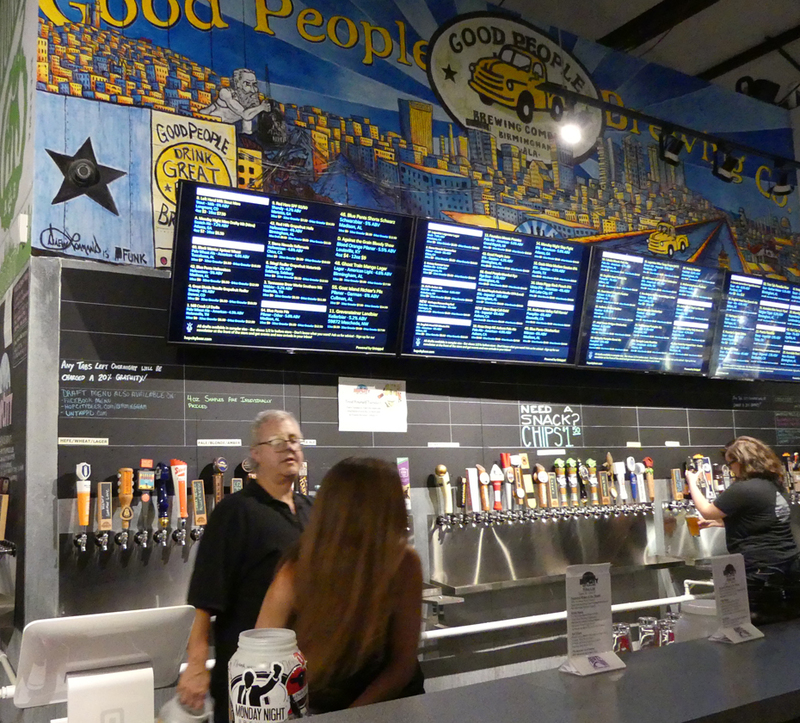 For non-alcoholic drinkers, they offer root beer. In addition to a huge bar and store, they offer homebrew classes and sell supplies for homebrewers.